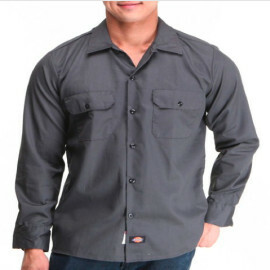 Men’s Industrial cotton long sleeve work shirt. Lined two‐piece collar with permanent stays and button on closure. Mitered front pockets with pencil division on left pocket. Fade resistant. Logo on side of left pocket and bottom of button placket. 6 oz. twill, 100% cotton. 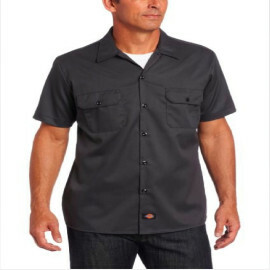 Long Sleeve Work Shirt‐ Stain release moisture wicking, doghouse sleeve plackets, same iconic style with new slim fit. 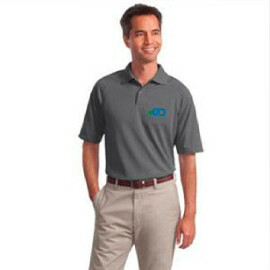 Mechanical stretch twill for comfort and ease of movement 5 1/2 oz. twill 65% Polyester/ 35 % Cotton. 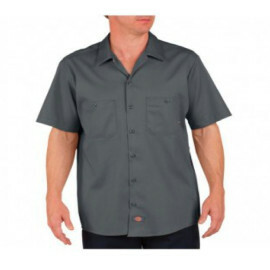 Men’s Industrial cotton short sleeve work shirt. Lined two‐piece collar with permanent stays and button closure. Mitered front pockets with pencil division on left pocket. Fade resistant. Logo on side of left pocket and bottom of button placket. 6 oz. twill, 100% cotton. 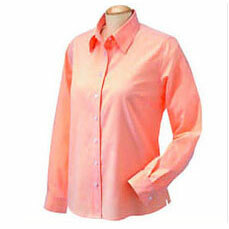 Ladies’ 100% polyester ottoman sport polo, set‐in sleeves, 4‐button placket with dyed to match buttons. Traditional, relaxed look. Flat knit collar, hemmed sleeves with rib knit detail, shrink fast and colorfast. Snag resistant. 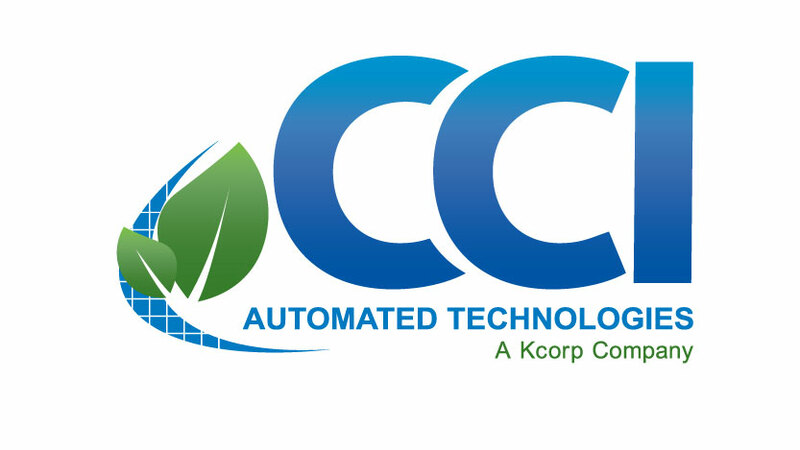 With true classic style, this shirt will keep you looking great at any corporate event, our exclusive moisture wicking technology takes moisture away from your skin and off your mind. Made of 100% combed cotton oxford shirt. 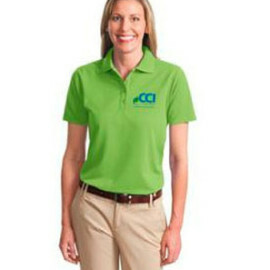 Dupont (TM) treated fabric releases wrinkles, stains and spills. Features flat‐felled seams, Dura‐Pearl(TM) buttons, front and back darts for a flattering feminine fit, and spread collar. 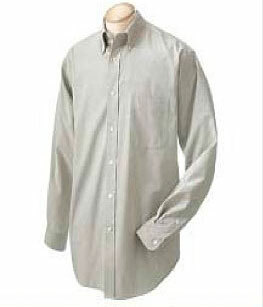 This shirt works hard to protect against accidents and spills, while constantly maintaining a sharp, crisp look. A clever blend of functionality and style. Made of 100% cotton. Fabric treated to release wrinkles and stains. Features flat‐felled seams, Dura‐Pearl (TM) bu ons, rolled bu on‐down collar, adjustable cuffs, center back pleat, left‐chest pocket, and locker loop. 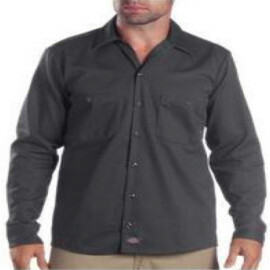 This shirt works hard to protect against accidents and spills, while constantly maintaining a sharp, crisp look. A clever blend of functionality and style. Our EZCotton styles have anti‐curl collars and resist pilling, fading, wrinkling and shrinking with ease. 6.5‐ounce, 100% co on. Double‐needle stching throughout. Piping detail inside neckband. Flat knit collar. 3‐button placket. Pearl white buttons, dyed‐to‐match buttons on Black and Navy. Open hem sleeves. Side vents. Ottoman sports polo, 5.3‐ounce 100% polyester, raglan sleeves, 2‐button placket with dyed to match buttons, flat knit collar, hemmed sleeves with rib knit detail, snag, colorfast and shrink resistant. With true classic style, this sport shirt will keep you looking great at any corporate event, our exclusive Dry Zone moisture wicking technology takes moisture away from your skin and off your mind.